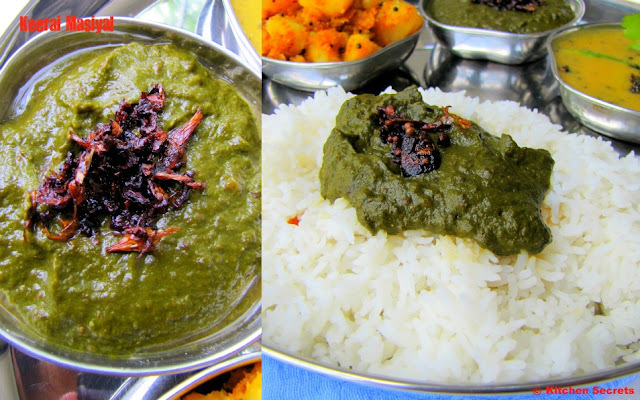 I love to make keerai kadaiyal this way..
Keerai masiyal looks delicious. amma used to make it. Masiyal looks delicious, love the platter. Healthy and yummy kadaiyal. Superb clicks. Love the whole platter shanavi. Keerai Kadaiyak looks so good with rice. I too make it same way. The masiyal is perfect and healthy! Looks very delicious! 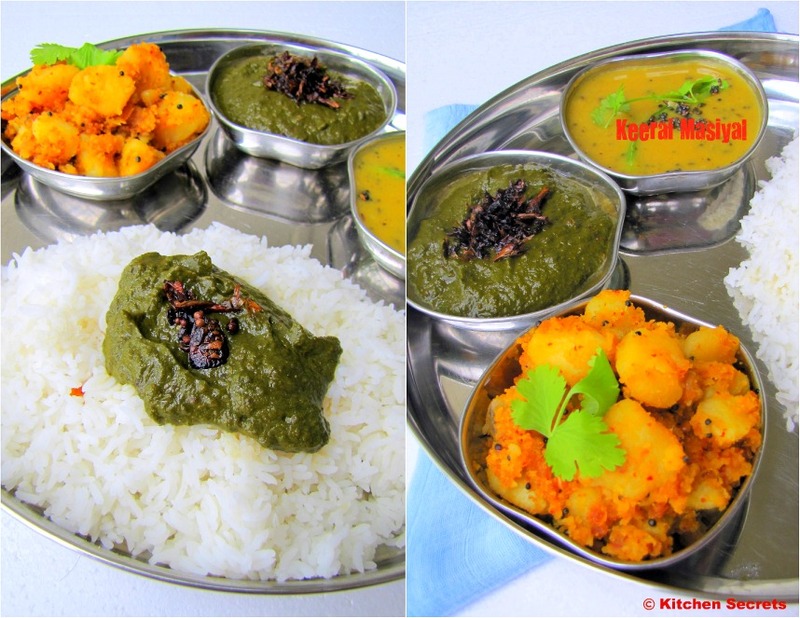 WOnderful platter, healthy and delicious masiyal makes me hungry..
Love keerai masiyal of this kind with hot ghee. Tempting clicks. Healthy, tasty & mouthwatering spread!! Love to have keerai anytime .. everybody's favorite at home. 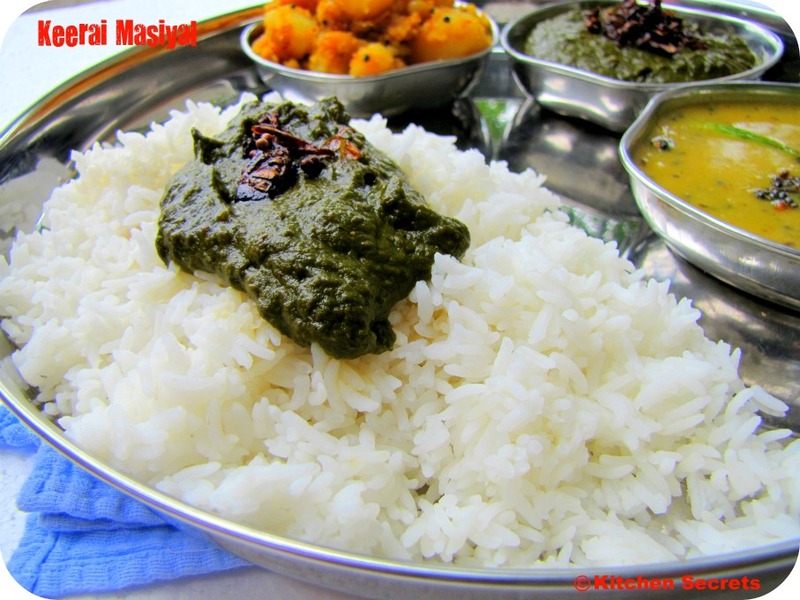 wow, delicious spread and a lovely masiyal with spinach! Sounds like an authentic dish......wonderfully yummy!!! Thats one tempting meal platter..Pass me so delicious..
wow ..looks delicious,wonderful space too! !